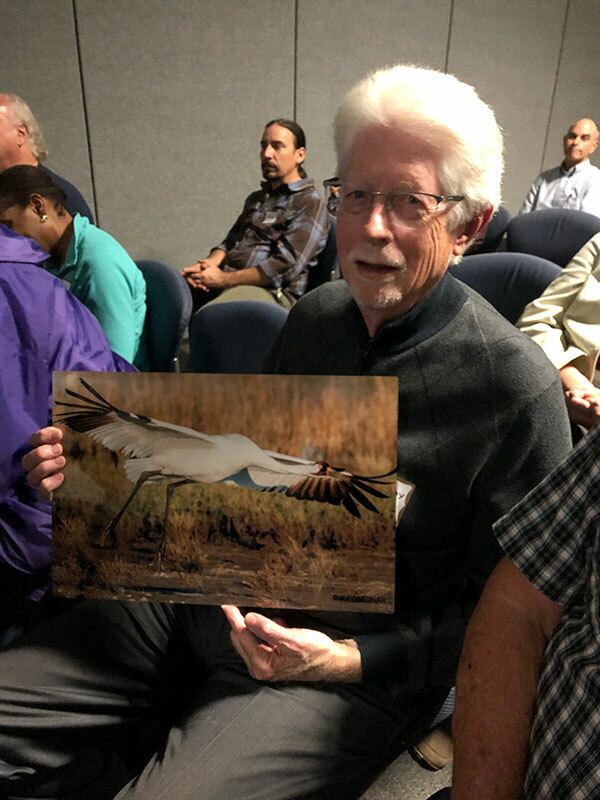 Ray Bednar presented Fantastic Cranes and Where to Find Them at our Speaker Event on November 8, 2018, held at the United Way on Waugh Drive. Ray showed a lot of great photos that he has taken of cranes and included a number of interesting stories. One cute anecdote is that he had some photos of a crane couple that returned to Crane House (near Rockport) one year with a goose. When the female fluffed out her feathers, so did the goose. It was an interesting relationship and they’re not sure how the goose joined this crane couple. He also talked about one crane having a broken leg, which would ordinarily be the end of its life… However, the following year after migration, the same crane came back with her leg fully healed! It was very surprising. The best news was about the Whooping Crane that was close to extinction, but now is making a slow comeback with anywhere from 500-800 in existence. The numbers vary, depending on who you are talking to about their numbers. 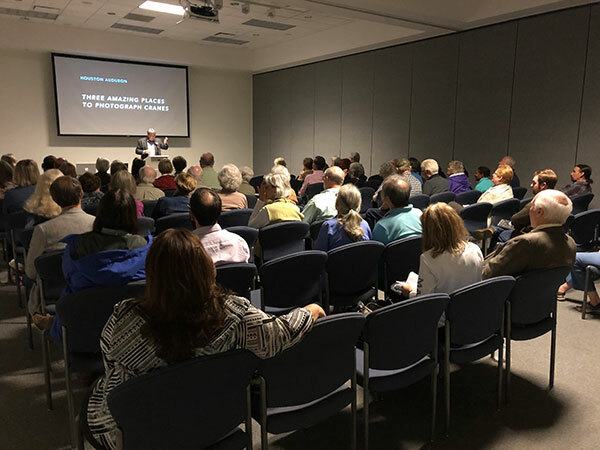 The locations he discussed were Platt River, Nebraska, Bosque del Apache, New Mexico and Crane House, Texas.